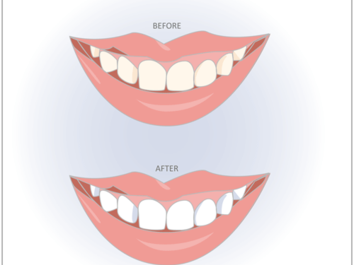 Teeth whitening can make a big difference in the quality of your smile. It will definitely brighten your teeth and restore the confidence back into your smile. However, teeth whitening may not be for everyone. To keep your teeth their whitest, it is important to practice good oral hygiene. Start with a consultation with Dr. Henna to determine if you may be a good candidate for whitening. There are many over-the-counter whitening products available at your local drug store. If using an over-the-counter whitening kit, choose one approved by the American Dental Association and follow the directions on its package. Store-bought kits require 7-30 days of consistent use for full effect. Individual results can vary. An in-office treatment typically whitens teeth 5-10 shades within 60 minutes. Dentist-dispensed take-home whitening kit contains a higher concentration of whitening agent than a store-bought kit and is as easy to use. You are likely to be more satisfied with the results of a Dentist-dispensed kit than by a store-bought kit. Dr. Henna took her time to research a great in office whitening service which would be gentle for her patients and provide them esthetic results. 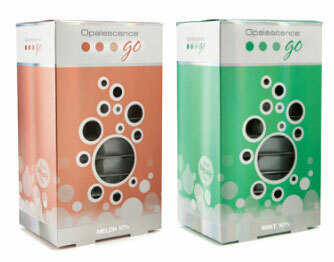 This is why we use Opalescence Boost in office whitening. Most whitening products dehydrate your teeth or work by shining a light on your teeth for a long time which may create heat and sensitivity. Boost is different in that it has more water concentration and vitamins for the teeth which decrease sensitivity. A gel is applied to your teeth for 20 minutes, it is removed and then another layer is applied for 20 minutes. In less than an hour your teeth will lighten several shades while you are seated comfortably. Remember that front teeth fillings and crowns will not lighten but there are options to address this. To discuss if you are a good candidate for in office whitening schedule a consultation with Dr. Henna today. We also offer prefilled whitening trays called Opalescence Go which is great for patients who want to whiten their teeth at home at their own convenience. Each kit contains 10 trays and you wear one tray per day for for 10-15 minutes each. No impressions or custom trays are needed! Opalescence products are gluten free and kosher certified making them a great fit for patients of all different backgrounds and lifestyles.